Tripoli (Trablous), 85 Km North of Beirut, has a special character all its own due to its historical wealth, relaxed lifestyle and thriving business climate, this is the city where modern and medieval blend easily into a lively and hospitable metropolis. 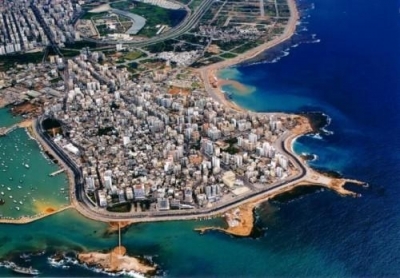 Known as the capital of the North, Tripoli is Lebanon's second largest city. Of the Mamluk city 195 monuments remain. The monuments include the whole range of religious, civil, and military architecture such as mosques, madrassahs, khans, and the Saint-Gilles Citadel. Forty-five buildings in the city, many dating from the 14th century, have been registered as historical sites. Twelve Mosque from the Mamluk and Ottoman times have survived along with an equal number of Madrassas or theological schools. Secular buildings include the hammam or bathing-house, which followed the classical pattern of Roman- Byzantine baths, and the Khan or caravansary. The Souks, together with the Khan, form an agglomeration of various trades where tailors, jewelers, perfumeries, tanners and soap-makers work in surroundings that have changed very little over the last 500 years. Tripoli is classified 2nd in the world with its fascinating Mamlouk architecture. Habitation of the site of Tripoli goes back to at least the 14th century BC, but it wasn't until about the 9th century BC that the Phoenicians established a small trading station there. Later, under the Persians, it was home to a confederation of the Phoenician city states of Sidon, Tyre and Arados Island. Built on the trade and invasion route near the Abu Ali river (Qadisha river), Tripoli's strategic position was enhanced by offshore islands, natural ports and access to the interior. Tripolitan Craftsmen were renowned throughout the Mediterranean for their skills at glass making and fabric weaving; and a thriving intellectual class dwelt on poetry, art and philosophy. Under Roman rule, starting with the take-over of the area by Pompey in 64-63 BC, the city flourished. During this period the Romans built several monuments in the city. The Byzantine city of Tripolis, which by then extended to the south, was destroyed, along with other Mediterranean coastal cities, by an earthquake and tidal wave in 551. After 635 Tripoli became a commercial and shipbuilding center under the Omayyads. It achieved semi-independence under the Fatimid Dynasty when it developed into a center of learning. At the beginning of the 12th century, the Crusaders lais siege to the city, finally entering it in 1109. The conquest caused extensive destruction, including the burning of Tripoli's famous library, the Dar Il-Ilm, with its thousands of volumes. 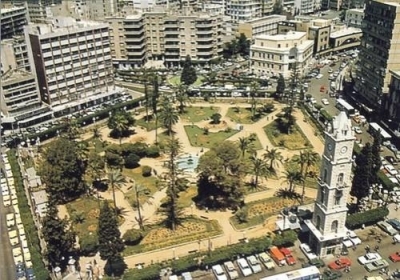 During the Crusader’s 180 years rule, the city was the capital of the County of Tripoli. 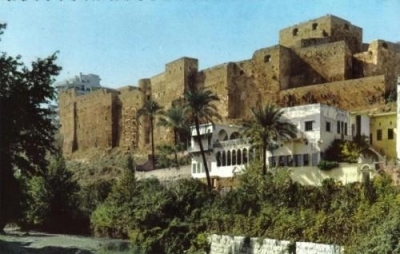 But the Crusader Tripoli fell in 1289 to the victorious Mamluk Sultan Qalaoun, who ordered the old port city (today Al-Mina) destroyed and a new city built inland near the old Castle. It was this time that the numerous religious and secular buildings were erected, many of which still survive today. During the long Turkish Ottoman rule 1516-1918, Tripoli retained its property and commercial importance and in these years more buildings were added to the city’s architectural wealth. The absence of fountains can be explained by the abundance of water flowing into the city from the mountains, an advantage that greatly impressed chroniclers and travelers to Tripoli in the 14th century. The absence of free-standing mausoleums can also be explained: Tripoli was neither a capital like Cairo, nor was it a holy city like Jerusalem. It was a provincial town, where members of the ruling elite or the middle class seem to have preferred to immortalize themselves by endowing religious buildings, and placing their tombs inside them. Tripoli became a part of Lebanon in 1920. 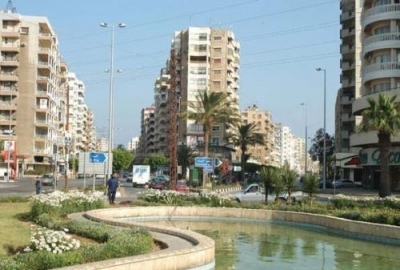 Modern Tripoli, which has a population of about 500’000, is divided into two parts: El-Mina (the port area and site of the ancient city) and the town of Tripoli proper. The medieval city at the foot of the Crusader Castle is where most of the historical sites are located. Surrounding this is a modern metropolis which is occupied with commerce, banking and recreation. The area known as Al-Tall, dominated by an Ottoman clock tower (built in 1901-1902) in the heart of downtown Tripoli, is the transportation center and terminus for most taxi routes. When shopping in the old Souks or downtown, remember that gold is a good buy, other popular items are Tripoli's famous sweets and traditional olive oil based soap, waterpipes and brasswork. At the southern part of Tripoli lies the International Fair Ground extending over an area of 1 million m2, with its unique architecture and huge possibilities. Designed by the famous Brazilian architect Oscar Niemeyer. Today Tripoli remains prosperous. 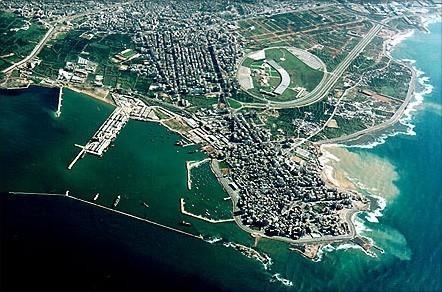 It is the second largest city in Lebanon and still an important port. Agriculture and small industries play a big role in the economy of Tripoli. It’s fertile soil was put to good work since the Mamluks. Presses extract oil from the olives harvested from the groves surrounding the city, and small factories make soap for export from the extracted oil. Sugar is extracted from the cane that Tripoli raised, sugar refining continued uninterrupted from the first Arab occupation through the Mamluks till today. Citrus, olive oil,and wool are the cities major exports. Just offshore is a string of small islands. The largest, known as the island of Palm trees or Rabbit’s island, is now a nature reserve for green turtles and rare birds. Declared a protected area by UNESCO in 1992, camping, fire building or other depredation is forbidden. This island also holds Roman and Crusader remains. South of Tripoli, the village of Qalmoun is known for its brass industry. The roadside is lined with small workshops and showrooms where brass bowls, candlesticks and other objects are hammered out in the old tradition.